The hardest part of any giveaway is wrangling our “random number generator” to actually pick a number rather than stare at us expectantly for a dog treat. The next hardest part is finding ten toys that haven’t been completely ripped to pieces. We received a total of 213 comments (one or two were not “entries”, but that’s a real pain for us to shift things around, so they just don’t win if selected and we draw another number). You all shared so many sweet, touching, and hilarious summer memories – some that really tugged at my heart. Thank you for that. So how did this work? Good question. 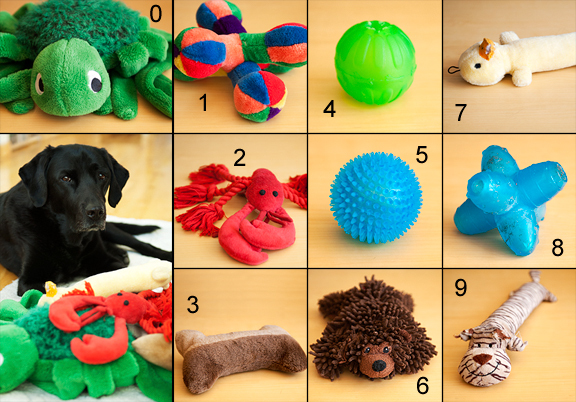 We selected ten of Kaweah’s toys and assigned each one a number from 0 to 9. We piled the toys in the middle of the room and then got Kaweah all riled up so she’d run and grab a toy (she does this when she’s excited and there appears to be no rhyme or reason to her selection). This happened 15 times and generated five 3-digit numbers. Each number (811, 977, 980, 766, 076) mod 213 resulted in: 172, 125, 128, 127, 76. Congratulations to: jwen, amanda, laura h, linda, and na! 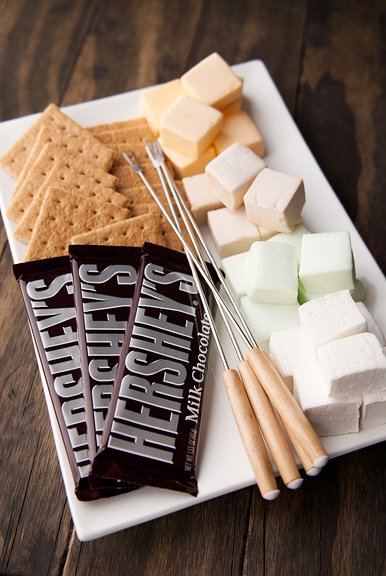 I’ll be sending your emails along to the Park Hyatt Beaver Creek so they can contact you about shipping your s’mores packages and give you details for the (awesomely) discounted rate at the Park Hyatt! 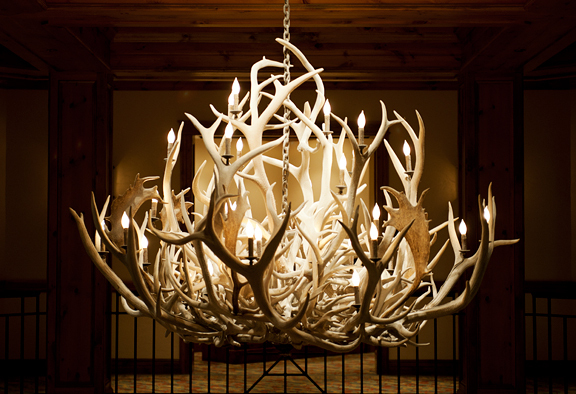 Thanks to all of you for participating and many thanks to the Park Hyatt Beaver Creek for sponsoring this super fun Colorado giveaway. Time to get tropical. The weather dictates much of my culinary mood. 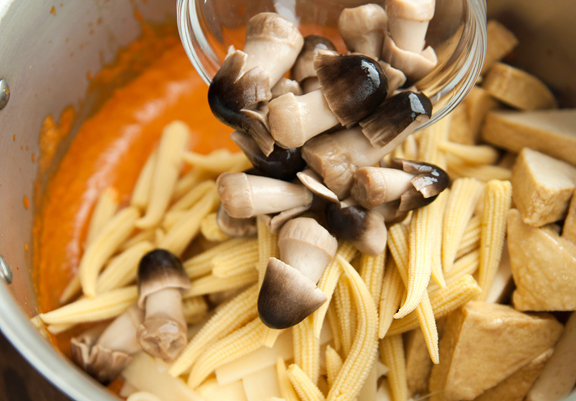 Typically I’d be cranking on the soups and stews, but with unseasonably warm weather lasting for more than a month (a week, I can hold out – a month, I cannot) I thought a compromise was in order. Something tropical, yet stewy enough to warm our tummies when we dip below freezing at night. 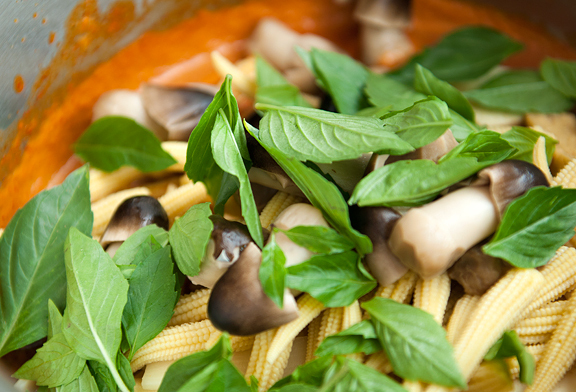 Southeast Asian food combines so many contrasting flavors that I find myself craving it often. It’s not just the sweet, sour, salty, herbal, creamy, and spicy, but the abundance of fresh and bright flavors that draw me in. 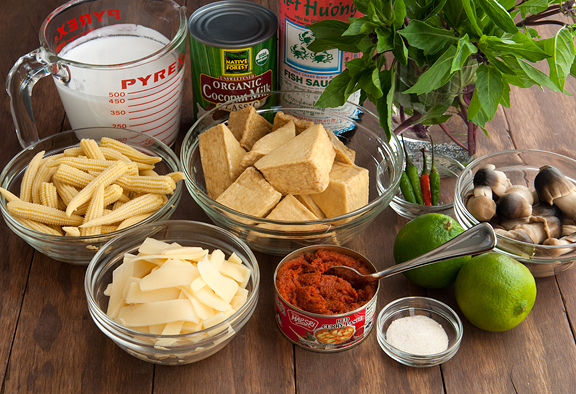 This is a simple and satisfying Thai red curry that I like to throw together. [Edit: I buy the red curry paste at my local Asian grocer – Asian Seafood Market in Boulder.] 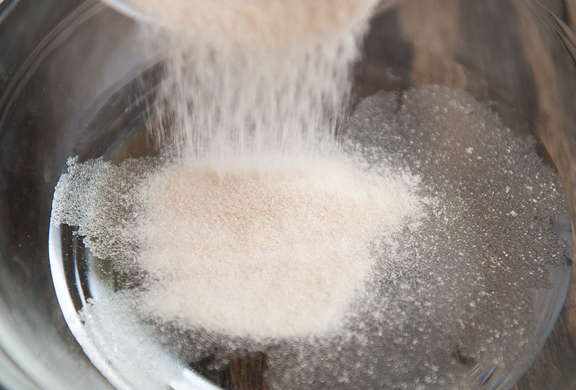 I typically toss in whatever needs to be cleaned out of the refrigerator, but for guests, I’d prepare it as shown in this post. I buy the tofu already fried. 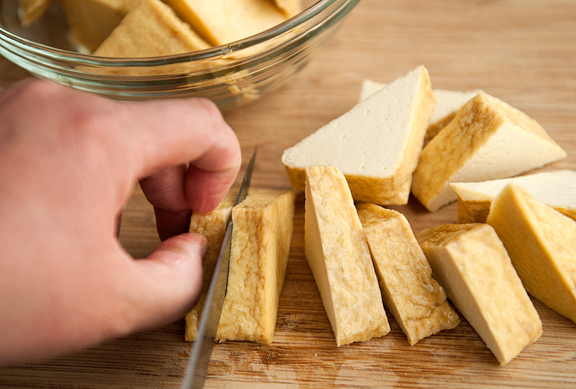 They aren’t tofu puffs, but tofu pieces that have been fried and maintain a firm texture. Yes, I’m talking about snow… sort of. Actually, I’m also talking about marshmallows which, as you know, invariably brings us to eating s’mores après ski at the Park Hyatt Beaver Creek Resort and Spa at Beaver Creek Ski Resort in Avon, Colorado. The Park Hyatt BC invited me over to experience their brand of hospitality on the mountain, literally. 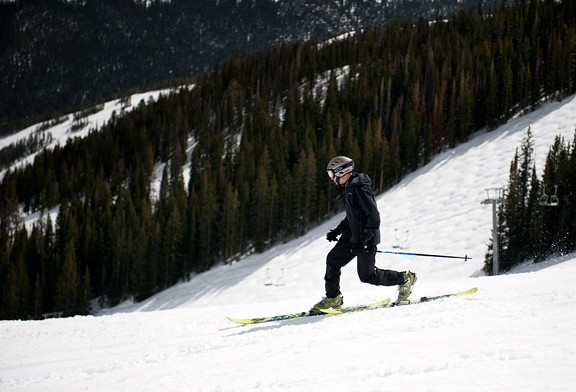 Ski-in ski-out access to one of Colorado’s premier ski resorts? S’mores after the lifts close? Fine dining at 8100 feet? I needed to verify this before the snowpack up and walked (melted) away. 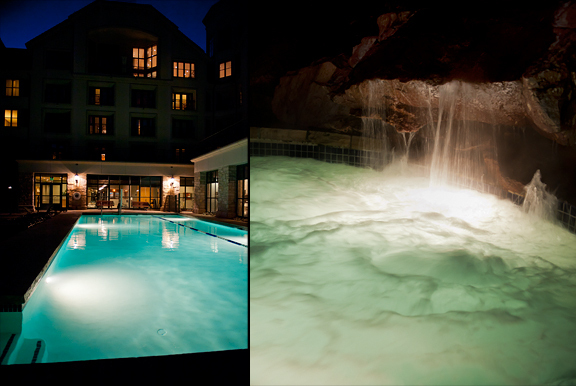 Last week, a box of goodies arrived in the post, courtesy of the Park Hyatt Beaver Creek. 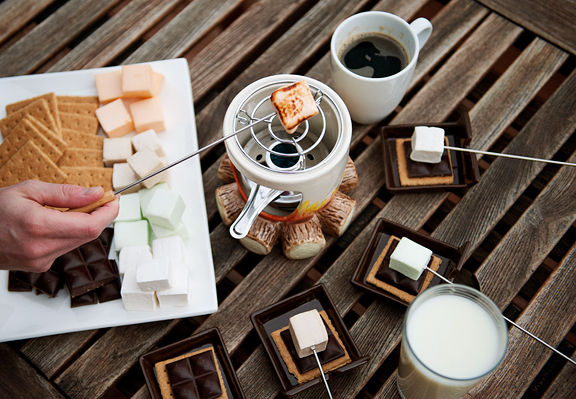 There was an adorable ceramic s’mores cooker, marshmallow skewers, s’mores trays, graham crackers, chocolate, and four flavors of housemade marshmallows developed by their chef: orange creamsicle, coffee, crème de menthe, and vanilla. Normally, it would be too cold (and windy, don’t forget windy) to enjoy these on our deck – except this season has been anything but normal. What a sticky, gooey, messy, fabulous treat to share with people who won’t laugh at you for having chocolate and marshmallow smeared all over your mouth! 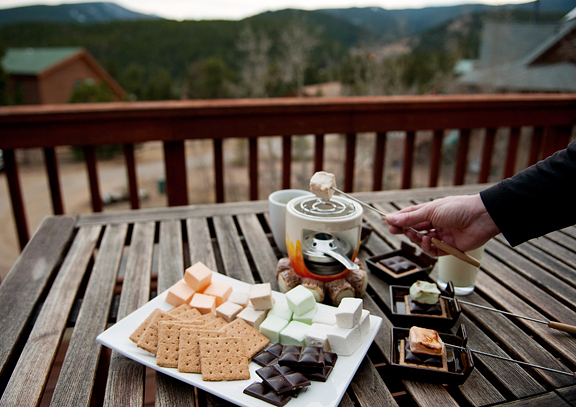 It was the Park Hyatt’s way of sharing their s’mores tradition with me, someone who loves skiing, loves Colorado, and especially loves skiing Colorado. But it’s not just ME they wanted to bring this to… they want to bring it to YOU! 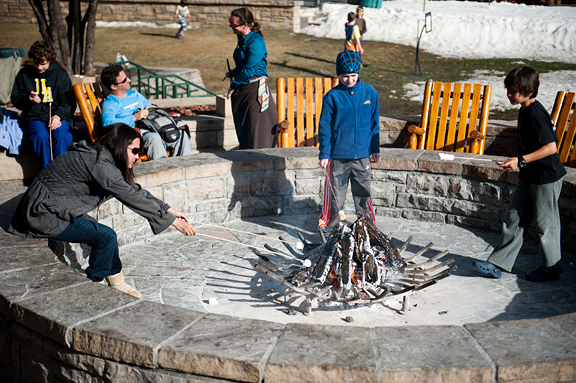 there is an art to toasting marshmallows, no fireballs! I’ve got five packages to give away to my good readers (that’s you!). 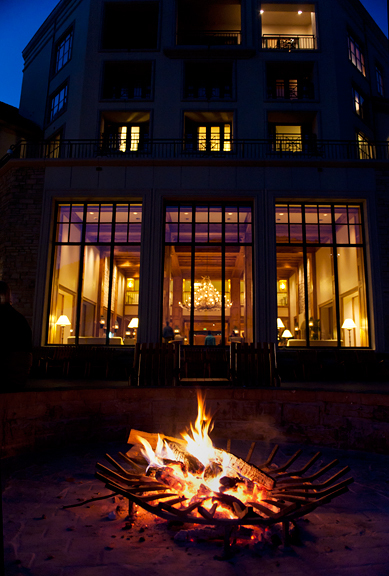 A package includes graham crackers, chocolate, gourmet marshmallows, and a $99/night room rate (with waived resort fees and complimentary valet parking) at the Park Hyatt Beaver Creek in Avon, Colorado. Go ahead, look at their rates and tell me that isn’t a freaking amazing deal! Did I mention that the Park Hyatt is an incredibly family-friendly resort? They have so many activities and services for children and families. We don’t even have kids (okay, we have the four-legged furry variety) and we were totally impressed. To enter the giveaway, please answer this question in the comments: What is your favorite summer food memory? 1) Prizes can only be shipped in the United States (US entrants only, please). Should you win, your mailing address will be required. 2) One entry per person. Multiple entries will be deleted and disqualified. 3) Entries must appear in the comments before 11:59 pm, Thursday, March 29, 2012. 4) Five winners shall be selected at random and announced (late) Friday, March 30, 2012. 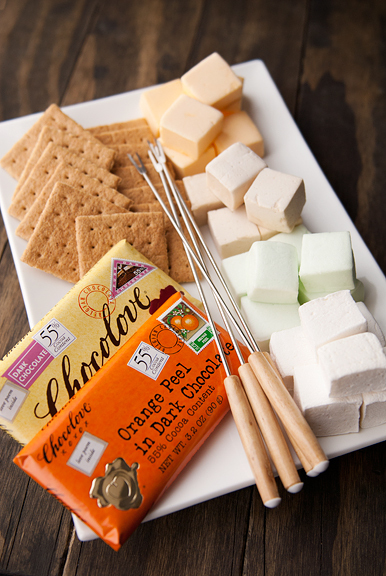 And the Park Hyatt Beaver Creek is having a little competition on Facebook for the best new marshmallow flavor. They want suggestions from people and the winning flavor will be added to their menu. Now, I KNOW that MY readers have the creativity and palate to wipe the competition off the page. 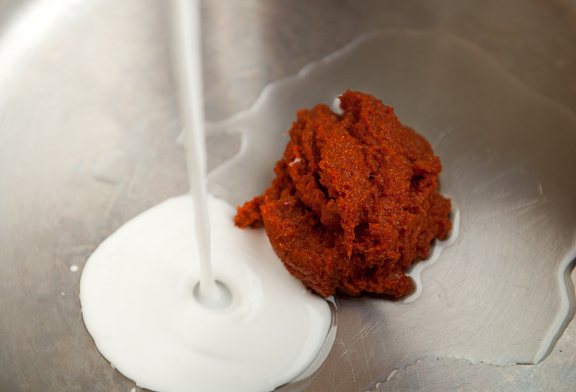 Leave your flavor suggestion on the competition page and tell them use real butter sent you. Full disclosure: The views expressed here are entirely (and always) my own. 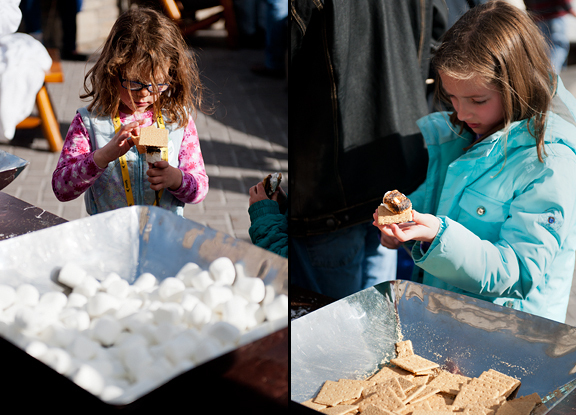 I received a s’mores package and a comped one-night stay at the Park Hyatt Beaver Creek. The ski days, transportation, and meals were at my own expense. 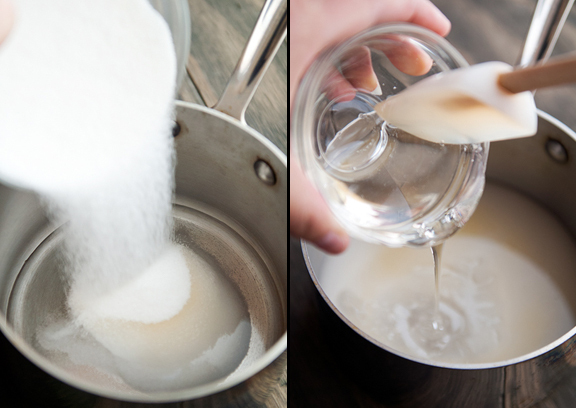 The reason I love s’mores is because I am a complete sucker for marshmallows, and nothing compares to homemade marshmallows. 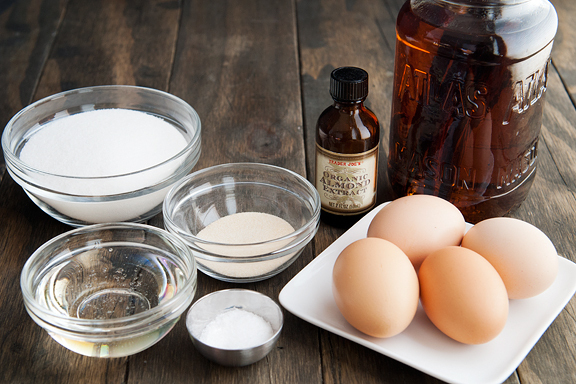 This whole s’mores lovefest got me thinking that it’s high time I attempted to make my own marshmallows. For the second stop on my sandwich chronicles, we hoof it across town to Gunbarrel. I used to work in Gunbarrel when we first moved to Colorado, so I got to know the area a bit. A popular lunch stop with my co-workers was Cafe Blue. It’s a nondescript restaurant in a nondescript strip mall in a nondescript part of Boulder. The service is consistently friendly despite how wildly the quality of service varies. I poked around on the menu for the first few visits, trying out sandwich options. Nothing really spoke to me until I honed in on the big kahuna. 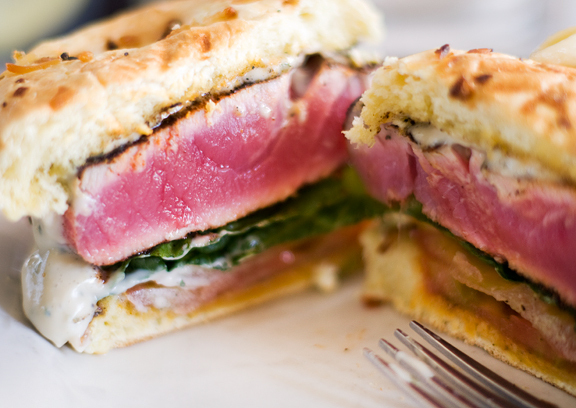 There is one sandwich that pretty much has a lock on my order: the blackened tuna sandwich. What you get for $11.25 is a nice ahi tuna filet, crusted in seasonings, blackened to your requested doneness, served on a toasted onion roll with basil aioli. On the side you get lettuce, tomato, and onion. Want cheese with that? Your choice of: provolone, American, Swiss, blue cheese, feta, cheddar, or pepper jack. Pick one of their side dish offerings: mac and cheese, shoestring french fries, mashed potatoes, house salad, cup of soup, or cottage cheese. There are extras on offer as well for $.75 each: mushrooms, onions, bacon, jalapeños, artichokes, peppers. To the sandwich: Rare. I order this sandwich rare. I’ve never had it any other way, so if you order it well-done and complain to me that it isn’t juicy, I’m going to ask you to please refrain from ruining good food. It’s a lovely combination of a lightly toasted onion roll that cradles a hunk of beautiful blackened ahi tuna with basil aioli dripping down the side. The tuna drips juices when you take a bite. The tender interior of the ahi tuna contrasts with the delicately crisp blackened exterior without being overpowered by the herbs and spices (although I do love to get my spice on). You can skip the vegetables, but I like to stack my sandwich with the lettuce and tomato on offer. It rounds out the textures and temperatures nicely. 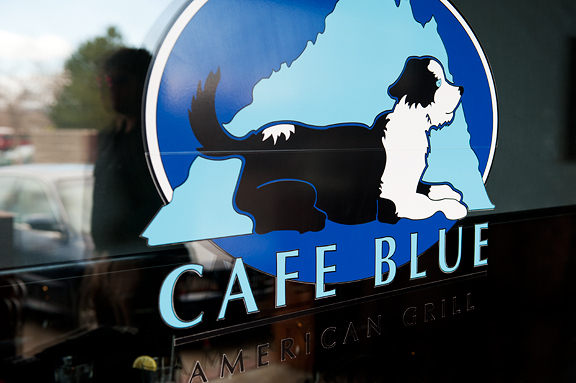 Where: Cafe Blue at 5280 Spine Road in Gunbarrel – Boulder, Colorado. 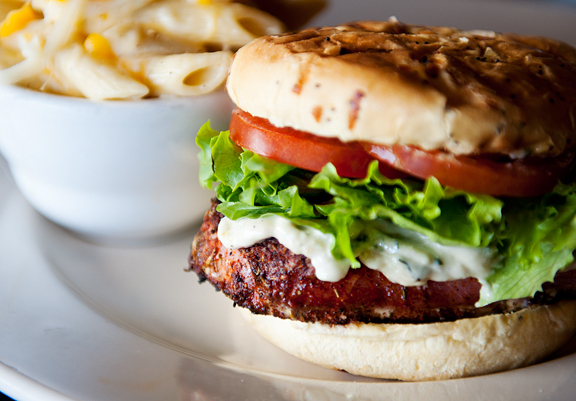 When: You can order the blackened tuna sandwich at lunch and dinner Monday through Saturday from 11:00 am to 9:00 pm. 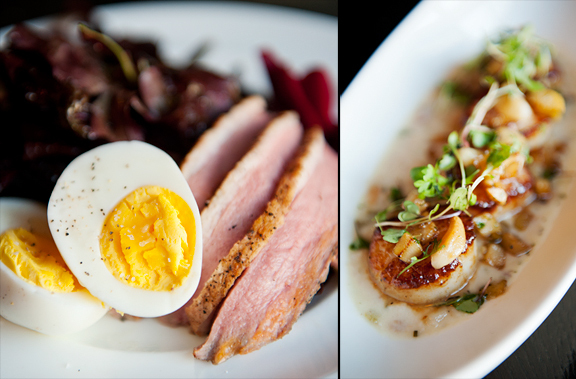 Contact: Call Cafe Blue at 303.530.4345. Visit their Facebook page. Full Disclosure: The opinions expressed here are my own (duh). No comps for the chomps.